Robert E. Gluck works on your behalf as your dedicated Lauderhill Personal Injury Attorney, offering counsel following an accident that results in your injury. Practicing law since 1989, he is dedicated to using his vast knowledge to provide top legal guidance and representation for your case. Practicing law since 1989, Robert E. Gluck works with steadfast resolve and diligence for your case. Those with legal representation fair better when negotiating a claim, so in Lauderhill, your personal injury attorney will work to ensure that the party responsible be held accountable for your medical costs. Call today for a free, no cost consultation and work with a Lauderhill Personal Injury Attorney that offers moral support and is dedicated to your recovery and successful claim. When you hire Robert E. Gluck., he will work to prove negligence existed and your recovery is the responsibility of the at fault party. 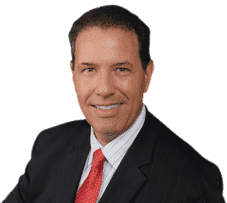 For a Lauderhill Personal Injury Attorney that will be prepared to negotiate to be sure your receive compensation that is appropriate for your injury, trust Robert E Gluck with your case. Knowledgable yet compassionate, he is the honest and reliable choice to represent you, no matter the cause of your injury.